Be very careful about handing out spare keys to your home. It could affect any insurance claim you might make in the future. Many people hand out spare keys to friends, neighbours or family members. This can be very useful should you ever lose your keys, and it means that your house could be accessed easily in an emergency, but many insurers are very unhappy about the practice and it could even invalidate your home insurance policy. In particular, if your house is ever burgled and there are no signs of break in, then you will be asked about your spare keys. 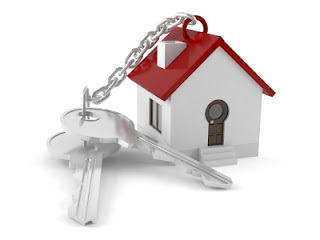 Even if your house is entered by keys that you have lost, then your claim could still be invalid. 46% of people lose a set of house keys. If you do, then you should change your locks rather than just have another set of keys cut. Should you change the locks when you buy a new home? Ideally you should as you really do not know the previous history of the keys. Even if the person from whom you bought the home is entirely trustworthy, they may have previously lost a set ort given a set to somebody else. Certainly you should ask your home insurer for advice. This also applies to brand new homes. Builders and estate agents will have had access to your house and will not doubt have handed to locks to a number of people and workmen completing your home. Changing locks can be expensive, but it is much better than risking being burgled by somebody who just happens to have a key to your home. What is worse than not changing locks is not buying home insurance. Around 17% of all home owners have neither buildings nor contents cover. That is just asking for trouble.